Spider-Man: Homecoming’s Zendaya sets the record straight: "I'm not Mary Jane"
So, who is Zendaya playing in Spider-Man: Homecoming? The actress has been doing her best to throw everyone off the scent (including yours truly) but an interview with ET Online seems to confirm that she won’t be playing Mary Jane – although there’s a little more to it than that. It should be pointed out that Zendaya kept winking at the camera which is almost definitely code for ‘don’t believe everything I’m saying’. But it begs the question as to why Zendaya, and Marvel, are playing coy if she is playing Mary Jane. Zendaya has previously mentioned her character, ‘Michelle’, is “very dry, awkward, [and] intellectual”. As of right now, Spider-Man: Homecoming has its lead, its villain but, if Zendaya is to believed, no MJ. 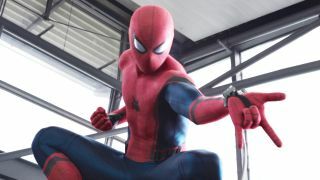 The Spider-Man: Homecoming trailer may debut before Star Wars: Rogue One screenings next month, so the big MJ question could finally be answered if the trailer drops. Directed by Jon Watts and starring Tom Holland, Michael Keaton, Marisa Tomei and Donald Glover, Spider-Man: Homecoming will hit theaters on July 7, 2017.